Let DanceStudio-Pro help you manage the craziness of selling tickets for your next event. 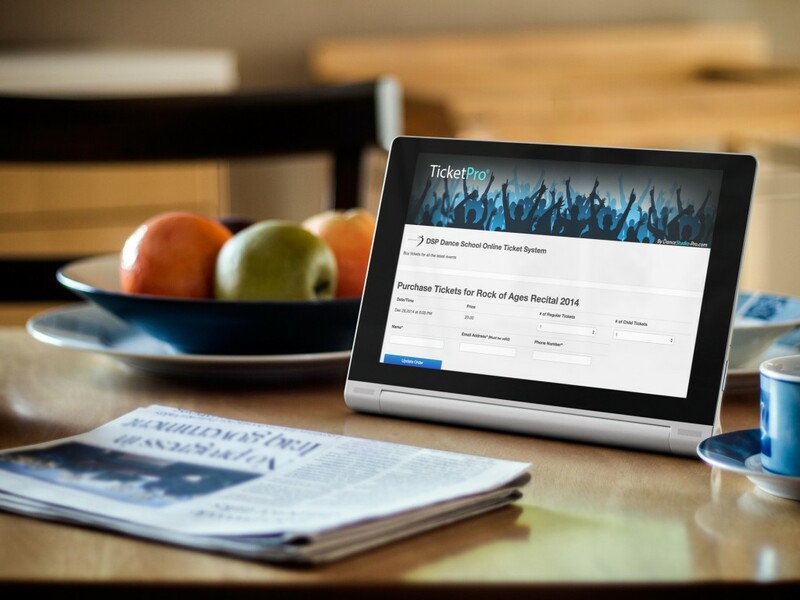 With Ticket-Pro, you can sell tickets online and accept real-time credit card payments from your own custom branded portal. Basically, whatever you want to sell tickets for, Ticket-Pro has you covered. Even better, you get access to real-time sales statistics, revenue by show and much more. Ticket-Pro allows you to limit the number of tickets a single parent can buy as well as offered unlimited ticket purchases. Consumers can print their own tickets and bring them to the venue to be scanned upon arrival. Ticket-Pro also give you the opportunity to sell Ad space on your printable tickets. That’s a huge opportunity for making even more profit on your events. Sign-up now to give it a test drive and simplify your ticket management. Just because we are the most affordable Dance Studio Management software in the industry doesn’t mean that we are “cheap”. There is no reason to charge excessive fees (in some cases, more than $100 per month) just because you have more students. Support is always just a click away.